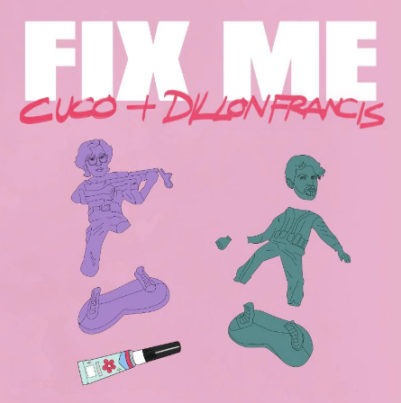 Cuco and ​Dillon Francis team up for the release of their new song, ​“Fix Me” which drops today along with a lyric video to accompany. The platinum-selling producer and the Chicano heartthrob are excited to premiere their new bilingual track which was​ ​featured as a World Record on Zane Lowe’s Beats 1 show on Apple Music today and finds Cuco yearning for another chance at love behind atmospheric production from Francis. Cuco is also embarking on a new run of tour dates in February of 2019. Beginning February 12th in Santa Ana, Cuco will play five consecutive shows throughout California. Remaining tickets are available at ​loverisaday.com. 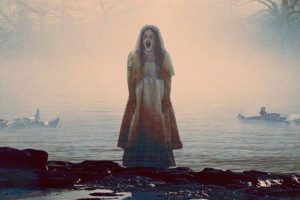 Francis currently finds himself on a co-headlining US tour, the “​Lost My Mind Tour​” alongside Alison Wonderland. The 15 city tour kicked off with sold out shows in Madison, WI, Minneapolis, MN, and Chicago, IL over the weekend. The tour will continue across the US through its final show, February 23 ​in Pittsburgh, PA. For more information and tickets, visit ​www.lostmymindtour.com​. Hear “​Fix Me“​ above, visit each respective artist’s sites for full tour routing and stay tuned for more from Cuco and Francis in 2019.